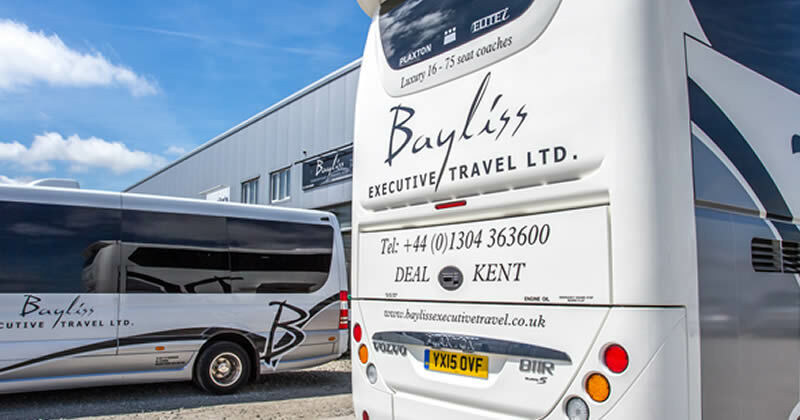 We pride ourselves in being one of the leading specialists in the South East of England for coach hire and corporate travel. Established in 2004, customer service has been the focus of our business, building a professional reputation and client base which can only be described as impressive! Our drivers will take the strain whilst you relax and enjoy the journey. Whether it's a day at the races, a cruise transfer from Dover or Southampton, or a night in London's West End we have the vehicles and drivers available to suit your travel needs. As well as our coaches being amongst the best available on the road today, all of our drivers have extended experience in driving not only in the UK, but also across Europe. With this in mind, we have the flexibility to cover a wide range of requirements for our clients. We own and operate a variety of vehicles in all sizes, 6 to 75 people vehicles so we can accommodate all school group sizes. We pride ourselves on our efficiency, reliability and customer service. All of our drivers are CRB checked to ensure they are able to work with Children. Accommodating groups of up to 37 passengers, our Corporate Hospitality service gives our customers access to some of the best vehicles on the road today. In addition, all of our drivers and chauffeurs have extended driving experience in the UK and abroad. All of our experienced chauffeur drivers are immaculately attired, discreet and well mannered. They will also offer a professional level of friendliness and helpfulness that sets them aside from other chauffeur companies. Currently the official travel partner to Sheffield United Football Club, Kent County Cricket, Ebbsfleet FC and Canterbury Rugby Football Club, we have the perfect blend of vehicles to suit our corporate clients' requirements. From a day trip Disneyland Paris to a 5 day break in Scotland, we offer a wide range of day trips and holidays throughout the year, visiting UK attractions as well as European destinations, all departing from local pick up points in East Kent. Got a particular travel requirement? Please feel free to get in touch and discuss your plans with a member of our experienced travel team. 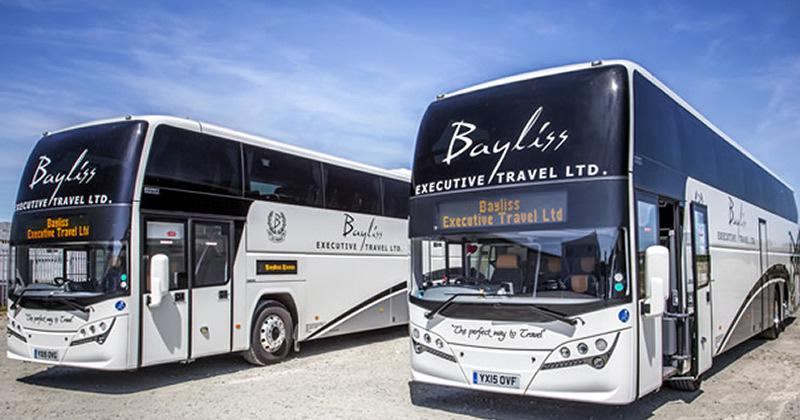 Bayliss Executive Travel was set up in 2004 with a view to be able to provide a level of service unsurpassed by anyone, anywhere. As a small company in it’s early years, we focussed on chauffeur driven executive cars and MPV’s, building up a reputation and client base I’m sure can only be described as impressive. Since then, we’ve branched into mini-coaches and executive coaches and whilst we’ve been able to maintain and indeed increase our client base on the luxury car side of things, have almost outgrown that with the larger vehicles. 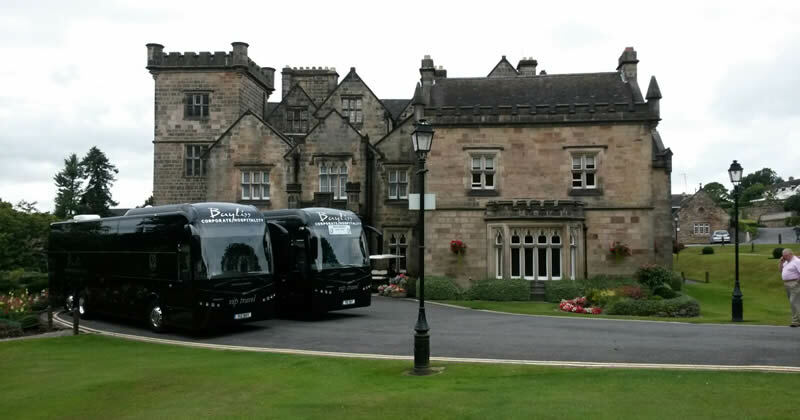 Over the past 10 years we are proud to have supplied coach travel to local, nationwide and worldwide clients. The diversity in our executive fleet allows us to build travel partnerships with sports clubs in Kent and England.